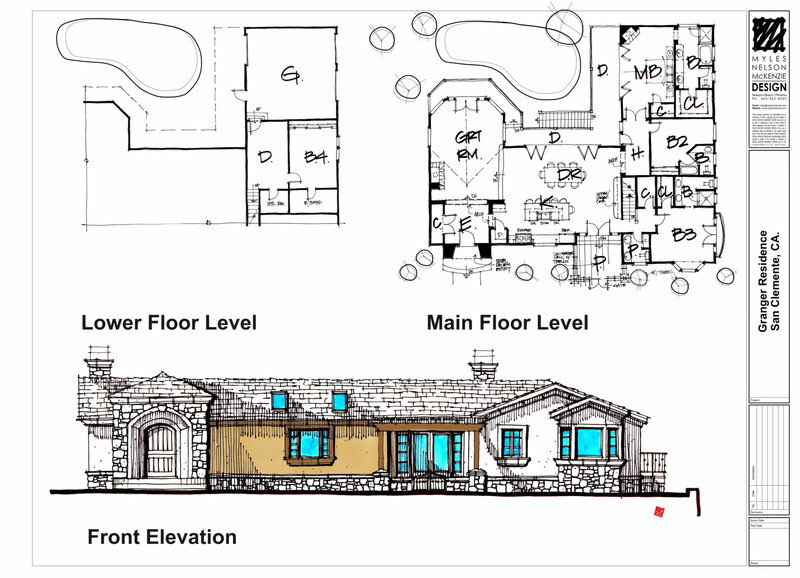 A complete new home remodel design French country-style for an existing residence in San Clemente California. In the early nineties, we developed a remodel and addition design for this same client’s existing residence. The clients just recently came back and wanted the house to be redesign and updated even more! Because, this was to match their current lifestyle in their California coastal beach town. The new home remodel design French country-style, incorporates a new relocated front entry addition. Additionally, a new front patio with a trellis cover was added the front of the residence. It which will have bougainvillea climbing all over it and will be a nice buffer from the street. The main floor was largely redesign as indicated on our proposed design plan by Myles Nelson McKenzie Design. A new chef style kitchen and dining area was created with a large fold-able door system that has opens to views of the rear yard and new pool. The new pool and hardscape will be added during the construction of the remodel. We also incorporated the same fold-able door design feature in the newly redesigned master bedroom suite. Contact us today at Myles Nelson McKenzie Design, we would be happy to discuss with you our design services for your new home remodel and room addition project. We are located in Newport Beach California and also in Hilton Head/Bluffton South Carolina. You can connect with us in Canada as well. Click here to view our Canadian website. When visitors come to our remodeled home, they are often surprised to see how well it turned out! It really needed a lot thoughtful design to match the needs of our family’s lifestyle. But Myles was patience with our times of indicisiveness. I really feel that we were made the right choice of choosing Myles to design our home remodel project. 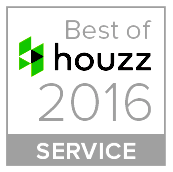 I can only highly recommend the service that we received to anyone who looks for professionalism, great customer focus, and creativity.